The award-winning partypoker LIVE MILLIONS wraps up its inaugural season next month with the MILLIONS Grand Final in Barcelona. 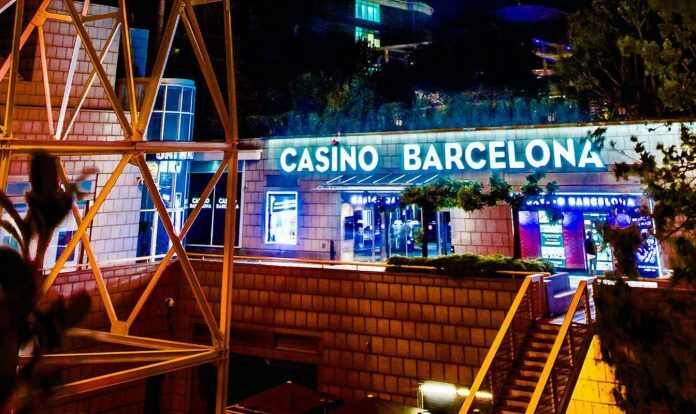 For nine days, beginning on April 7, the partypoker LIVE tour sets up shop at Casino Barcelona for nine action-packed events headlined by the €10,300 Main Event that carries a €10,000,000 guarantee. The MILLIONS Grand Final is one of the most ambitious stops of partypoker LIVE’s first season. Over the course of nine events, players will vie for a piece of the €23,000,000 (~$28,500,000 US) in guarantees. There are four Super High Rollers on the schedule including two €25,000, a €50,000 and the €100,000 Super High Roller – each of which is guaranteed for €2 million. For those players who want in on the action, but at a more manageable buy-in, the slate includes a pair of €1,000 tournaments, each holding their own €1 million guarantee. Not to be missed though is the Main Event. Billed as Europe’s largest ever guaranteed tournament, the €10,000 buy-in carries with it a massive €10 million guarantee. Also promised, the top three finishers in the tournament will all walk away with at least €1,000,000 in earnings. In order to hit that lofty guarantee, the tournament will have to have no fewer than 1,000 runners either buy-in or qualify for the event. To that end, the tour is doing all they can to give players a path to taking their seat. There are four starting flights for the tournaments. Day 1A and Day 1B both take place on April 11 with the next two flights taking place the following day. Should a player go bust, they can re-enter once per flight as well as play multiple starting days with the largest stack earned moving forward. partypoker has also provided plenty of opportunities for players to win their way into the Main Event as there are five mega satellites that will take place at Casino Barcelona leading up to the Main Event. Additionally, players can qualify online for the live event. The structure of the event is similar to the Main Event of MILLIONS Germany with 40-minute levels on Day 1 and 1,000,000 in starting chips. Players can’t rest too comfortably though as the blinds start at a hefty 5k/10k with a 5k ante ensuring that even with 1 million in chips, the action will move quickly from the start of the first level. From Day 2 forward the structure slows down, offering 60 minute levels all the way until the beginning of heads-up play when the levels regress to 30 minutes. From daily live updates to the final table live stream, Mypartypokerlive.com will cover the event from start to finish. Sign-up for a Mypartypokerlive.com account to be able to follow the action and you’ll also get a free $22 tournament ticket into your partypoker account. partypoker’s new ALL-IN campaign, which features new software, a new robust online tournament schedule and the end of the year $20,000,000 guaranteed MILLIONS online tournament, could really be bolstered should the company find a way to crush the MILLION Grand Final Main Event guarantee. Helping them no doubt will be their ever-expanding stable of pros including Patrick ‘pleno1’ Leonard, Isaac Haxton, Jason Koon, Joao ‘joaosimaobh’ Simao, Kristen Bicknell, Sam Trickett and Fedor Holz, many of whom will likely be on hand to help welcome players and battle them on the felt. Once again, partypoker is also bringing their high stakes cash game, The Big Game, with them to Barcelona. In addition to the 24/7 cash offerings of the casino, the tour will feature a streaming high stakes cash game featuring some of the games biggest names. All of the action begins on April 7 with the €1,000 Opening Event with a €1,000,000 guarantee and wraps up nine days later on April 15 with the conclusion of the Main Event.